ABSOLUTE LOVELY SINGLE STORY GEM. 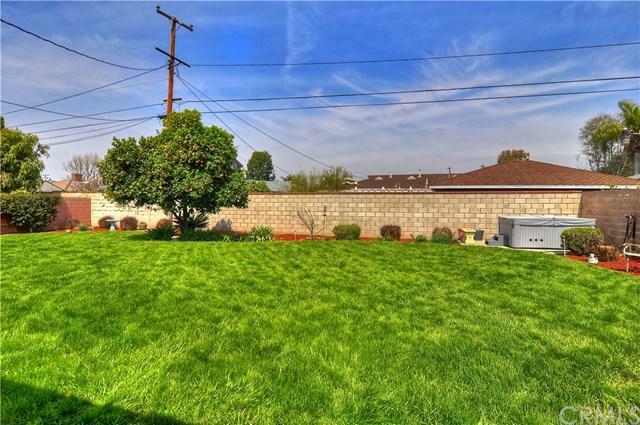 LOCATED IN THE HISTORIC COLONY NEIGHBORHOOD OF ANAHEIM, THIS STREET IS ONE OF THE FINEST, AND HOMES ARE SITUATED AMONGST QUIET STREETS AND IMMACULATELY KEPT HOMES. A TRUE CLASSIC SINGLE STORY, THAT BOASTS BOTH ROOMY LIVING AND LARGE LOTS. 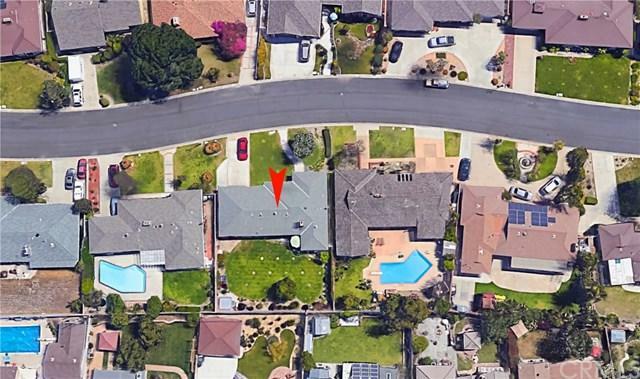 THIS LOT IS HUGE & OPPORTUNITIES ARE ABUNDANT FOR ALL BUYERS. WE LOVE THIS NEIGHBORHOOD, IT'S A TRUE CLASSIC; WIDE STREETS, LIGHT TRAFFIC, PLENTY OF PRIVACY AND LARGE BACKYARDS. OUR HOME IS A 2 BEDROOM SINGLE STORY W/2 LIVING AREAS & A LARGE DRIVEWAY AND A FULLY DETACHED HOME. TURNKEY! NEW PAINT THROUGHOUT. WOOD FLOORING IN THE FRINT LIVING ROOM, W/THE LARGE PICTURE WINDOWS ALLOWING NATURAL LIGHT TO CREATE A LIGHT-N-BRIGHT FEEL. THE KITCHEN/FAMILY ROOM IS ALSO LARGE WITH A KITCHEN ISLAND, CUSTOM CABINETRY, FIREPLACE W/HEARTH, SLIDING GLASS DOORS TO THE BACKYARD. LAUNDRY ROOM IN GARAGE, SMALL STORAGE ROOM BUILT OFF THE BACK OF THE GARAGE FOR OFFICE/STORAGE. FLAT LOT. CLASSIC NEIGHBORHOOD. POSSIBLE FOR ADU PERMITTING -- INQUIRE W/CITY OF ANAHEIM FOR EXPANSION OR REMODEL OR ANY BUILDING & OPPORTUNITY QUESTIONS. AMENITIES INCLUDE DISNEYLAND, ANGELS STADIUM, NEARBY SHOPPING, NEARBY SCHOOLS, NEARBY DRIVE-THRU STARBUCKS, DINING, PEARSON PARK, ANAHEIM PLAZA MALL & GREAT PROXIMITY TO THE 5 FREEWAY! THIS IS A FABULOUS HOME IN A WONDERFULLY SAFE NEIGHBORHOOD. THE NEIGHBORS WHO GREW UP HERE STILL BOAST ABOUT THE QUALITY OF THE FEEL AND LOVE THEY HAVE FOR THIS COMMUNITY, THIS IS A GEM OF A HOME! SINGLE STORY READY TO GO!